Click a photo to learn more about each Maui beach wedding venue to be used with any of our Maui wedding packages. 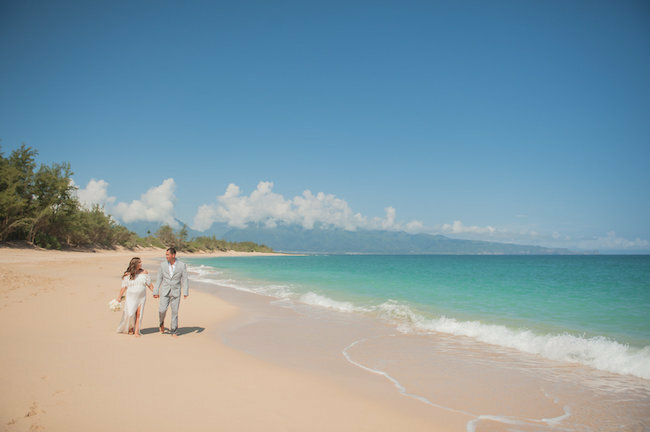 PO'OLENALENA/CHANGS BEACH on our blog! Po'olenalena is the larger more well known side, Chang's Beach is the more "secret side" that offers more privacy. polo BEACH on our blog! Polo Beach fronts the Fairmont Kea Lani Hotel and Polo Beach Club condos in Wailea. southside BEACH on our blog! Southside Beach is close to Wailea resorts. We love it because of the variety of scenery and the consistency of the weather. Rain and strong winds are VERY rare at this location. 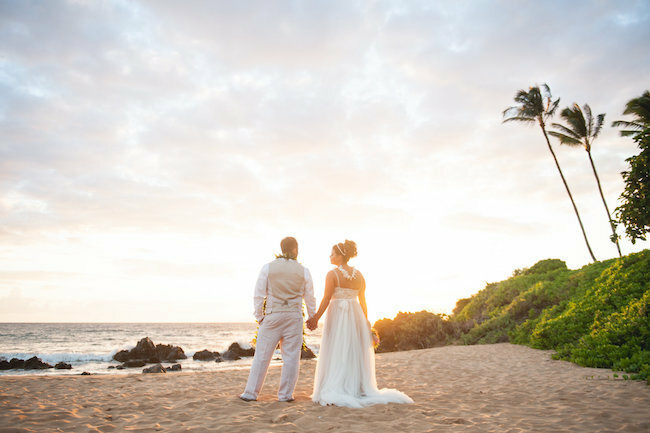 it's light golden sand and amazing sunsets will not disappoint for your Maui wedding. 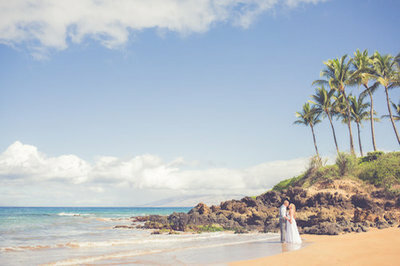 maluaka BEACH on our blog! Maluaka beach is in Makena, just south of Wailea. It is a long beautiful beach with amazing sunsets! It has two sides, north and south Maluaka. 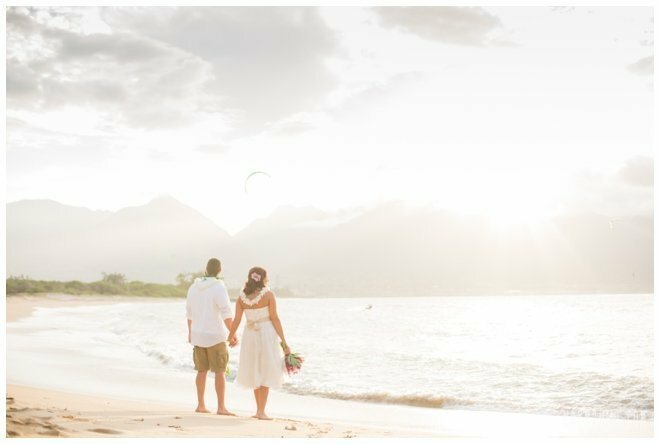 lahaina shores BEACH on our blog! This beach is in front of the Lahaina Shores resort off of Lahaina's famous Front Street. This beach has a fun Jimmy Buffet beach town feel to it. 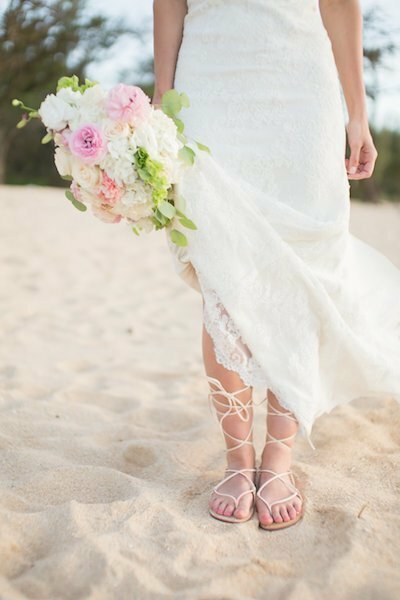 ironwoods BEACH on our blog! Ironwoods beach is north of Kaanapali and just north of Kapalua Bay. It's white sand makes the water a beautiful aqua blue. The dramatic rocky cliffs on either end of the beach make it truly epic. * While this location is beautiful it is also prone to high winds and stormy weather, even when the weather is sunny and beautiful just a few miles down the road. 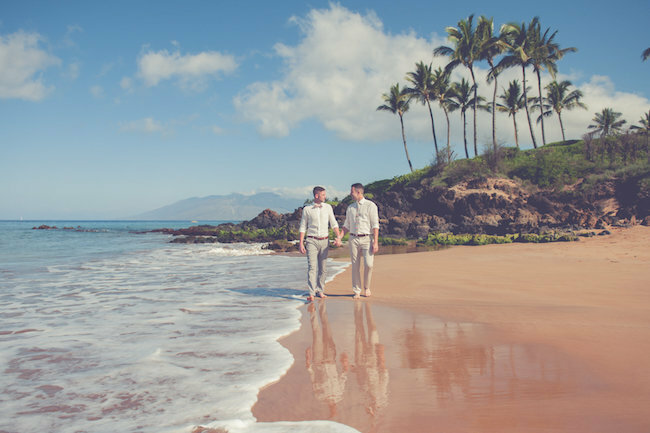 We reserve the right to re-locate your wedding to a dry beach in the area in the event of rain or stormy weather. dt fleming BEACH on our blog! DT Fleming beach sits in front of the Ritz Carlton in Northwest Maui. The sun does not set over the water at this beach but you do get lovely colors in the sky at sunset time and beautiful soft light, which is very flattering for photos. baldwin BEACH on our blog! Baldwin beach is just before historic Paia town on Maui's North Shore. 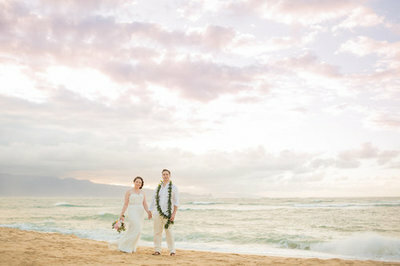 Our photographers love Maui's north shore for photography as the light there is magical. The north shore is also much less used for weddings, as it is away from the large resort areas of Maui, so chances are you will not be sharing the beach with another wedding. 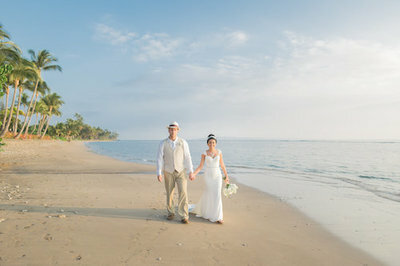 kanaha BEACH on our blog! Kanaha beach is in central Maui near the cruise ship port. It is mainly a local beach and off the beaten path, this means it is very quiet and empty on weekdays. All of our Maui beach wedding venues have been hand-selected because of beauty, proximity to popular island locations, photographic backdrops and accessibility. 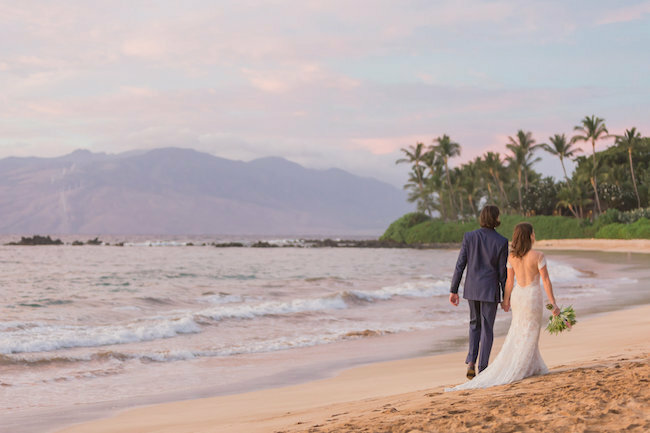 We have not included some beach wedding locations on Maui to our list of 9 beaches because of overcrowding. Customer experience is our number one priority, and maximum intimacy for your wedding is very important to us. Therefore some popular beaches are not on our list. 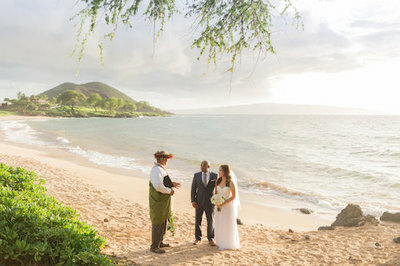 Also, if you want beach wedding photos with the intimacy of a private venue take a look at our Maui wedding venues to find a private ceremony location close to the beach. As long as you add on some additional photography time, these wedding venues can accommodate the quintessential destination beach photos as well as the privacy and beauty of a venue. 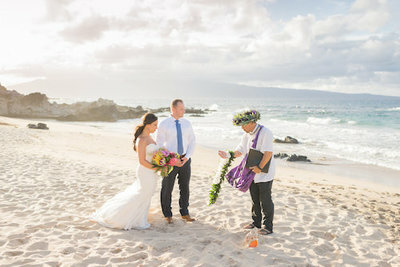 If for some reason Oahu, Hawaii is a better wedding location for you check out our sister company Simple Oahu Wedding. 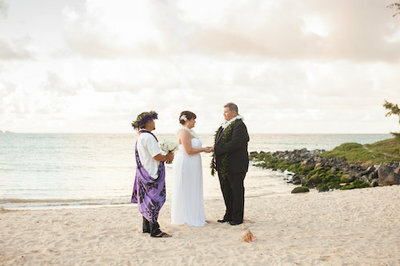 Go here to take a look at their Oahu Beach Wedding Venues and everything they provide. 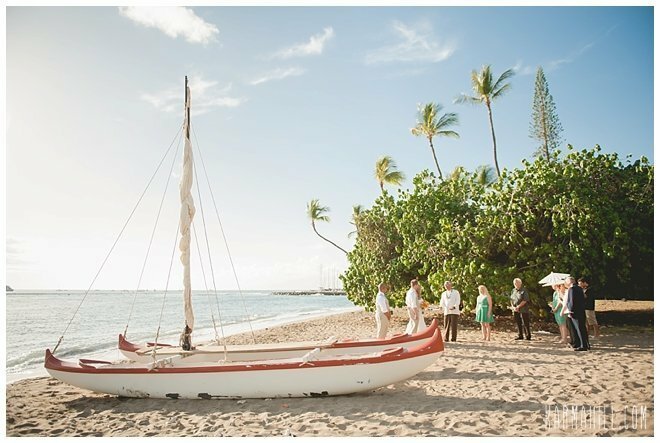 If you have any questions about any of our beach wedding venues, please contact us, and we will get back to you in 24hrs or less.